The prolonged closure of an ageing and cracked reactor at Hunterston in North Ayrshire is the beginning of the end for seven nuclear power stations in Scotland and England, experts say. They doubt whether the reactor will ever restart, and argue that proliferating cracks in other elderly reactors across the country will shorten their expected lives and lead to premature shutdowns. Hunterston’s operator, EDF Energy, however, insisted that it would be able to reopen the reactor. Its other reactors would also run for as long as planned, the company said. 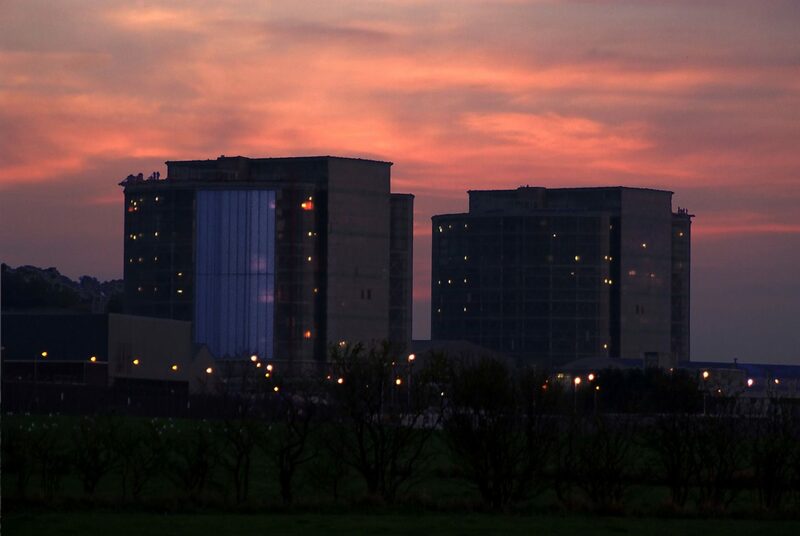 EDF announced last week that it was extending the shutdown of reactor three at Hunterston by six months because it has discovered more cracks than expected in its graphite core. Instead of reopening early in May, it is now scheduled to reopen on 17 November. The company said it had found a total of 39 “keyway root cracks” in the reactor and they were “happening at a slightly higher rate than modelled”. The discovery of new cracks was reported by The Ferret on 23 April. Hunterston reactor three, which started generating power in 1976, is the oldest in EDF’s fleet. The other working reactor on the site, number four, is 18 months behind, has five cracks and is likely to develop more. The six other advanced gas-cooled reactor plants in the UK are also likely to crack, including the only other working nuclear power station in Scotland at Torness in East Lothian. The others are: Hinkley Point B in Somerset; Hartlepool in County Durham; Heysham 1 and 2 near Lancaster; and Dungeness B in Kent (see table below). According to the independent nuclear engineer, John Large, the new cracks are the “death knell” for Hunterston reactor three. “This means that reactor four is doomed to the same fate, followed by similar plants at Hinkley Point and Hartlepool, thereafter progressively followed by other advanced gas-cooled reactors,” he said. He argued that EDF’s decision to keep reactor three closed until the end of the year was prompted by the UK government’s safety watchdog, the Office for Nuclear Regulation (ONR). “ONR’s doubts about the reactor safety have not been satisfied by this most recent inspection,” he said. Large also highlighted the uncertainties in tracking cracks, which are mostly modeled rather than measured. “There is little that EDF can do to physically resolve this problem,” he said. He expected Hinkley Point B to close “very soon”, followed by other nuclear stations in England. “Even Torness has passed the 30 year threshold, so may not make it to its expected 2030 closure date,” Roche said. Rita Holmes, a local resident who chairs the Hunterston site stakeholder group, argued it would be very difficult for the public to have confidence in the safety of reactor three. “It has had its day and should be allowed to bow out gracefully,” she said. Paul Mummery, a professor of nuclear materials from the University of Manchester, pointed out that ONR would not allow EDF to restart reactors until it can be demonstrated that they are safe. “This is quite a task for EDF and not something that can be rushed,” he said. ONR has welcomed EDF’s decision to keep Hunterston reactor three closed as “responsible, conservative, and made in the best interest of public safety.” It confirmed that the reactor could not be restarted without its permission. One ONR advisor, professor Paul Bowen from the University of Birmingham, argued that the process showed how the regulatory system was working. “In my technical opinion and noting that I am not at all influential in any decisions, a return to service for Hunterston reactor three will be justified,” he said. The director of Hunterston B, Colin Weir, told BBC Radio Scotland last week that he was “100 per cent confident” that the reactor would restart.